Numax Steels is prominent producer for SMO 254 Pipes & Tubes, which does not readily corrode, stain or rust with water as ordinary steel does. SMO 254 Tubes is not fully stain-proof in low-oxygen, poor air-circulation or high-salinity environments. The basic idea of 254 SMO Pipes from Numax Steels is to produce a chemical composition that leads to an approximately equal mixture of ferrite and austenite. 254 SMO Tubes are highly alloyed and have a corrosion resistance comparable to high performance austenitic. 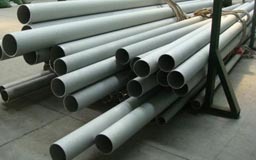 There are various surface finishes to suit the environment of Alloy 254 Pipes that must endure. Alloy 254 Tubes from Numax Steels is used where both the properties of steel and corrosion resistance are required. By lowering total material weight, you also lower transportation and assembly costs, reducing environmental impacts even further – making SMO 254 Seamless Pipes a genuine material of the future. 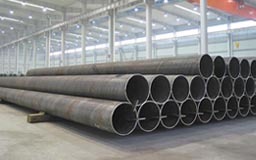 The high chromium and molybdenum content also gives SMO 254 Welded Pipes a high resistance to acids that could cause pitting. SMO 254 EFW Pipes has moderate / good strength and good general corrosion / stress corrosion cracking resistance. SMO 254 ERW Pipes from Numax Steels has high performance, high strength and outstanding corrosion resistance. UNS S31254 Pipes is often used for swimming pool flume / ducting supports, mast rigging, mooring and architectural supports. UNS S31254 Tubes is also well-suited for use in many offshore and onshore applications. By utilizing our years of experience, we Numax steels bring forth a qualitative array of 254 SMO Pipes & Tubes. Thickness 20 Swg., 18 Swg., 16 Swg., 14 Swg., 12 Swg., 10 Swg., & Sch. 10, Sch. 40, Sch. 80 etc. 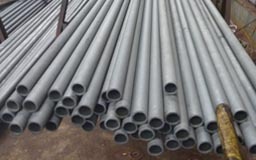 SMO 254 EFW Pipes, SMO 254 Pipes & Tubes, SMO 254 UNS S31254 ERW Pipes, SMO 254 Fabricated Pipes, SMO 254 Fabricated Tubes Supplier & Exporter in India. Nairobi, Argentina, Freetown, Iran, Uganda, Germany, Bamako, Fez, Accra, Malaysia, Subra al-Haymah, Yemen, Conakry, Bulawayo, Chine, Ouagadougou, Ibadan, Qatar, Democratic Republic of the Congo, Abu Dhabi, London, Venezuela, Omdurman, Indonesia, Abidjan, Houston, Saudi Arabia, Kampala, Ethiopa, Singapore, Kano, New York, Durban, Colombo, Tunisia, Khartoum, Algiers, Benin, Port Elizabeth, Soweto, Israel, New Zealand, Nigeria, Turkey, Brazil, Kinshasa, South Africa, Harare, Algeria, Yaoundé, Kazakhstan, Azerbaijan, Douala, Dubai, Kuwait, Mbuji-Mayi, Cairo, Mexico, Kolwezi, Italy, Hong Kong, Africa, UK, Tripoli, Sudan, Port Harcourt, Cyprus, Cameroon, Lagos, Peru, Russia, Dar es Salaam, Oman, Canada, Zaria, Addis Ababa, Ghana, Egypt, Pretoria, Angola, Jordan, Mogadishu, Kaduna, UAE, Sri Lanka, Giza, Mozambique, Maputo, United States, Maiduguri, Alexandria, Rabat, Cape Town, Lebanon, Iraq, Johannesburg, Trinidad and Tobago, Bahrain, Vietnam, Lubumbashi, Luanda, Thailand (Bangkok), Australia, Colombia, Antananarivo, Brazzaville, Morocco, Casablanca, Dakar. Durban, Dakar, Bhiwadi, Omdurman, Yaoundé, Russia, Yemen, Udgir, Cape Town, Bamako, Kolkata, Mizoram, Thailand (Bangkok), Miryalaguda, Luanda, Kaduna, Buxar, Jamalpur, Bundi, Pune, Nairobi, Rabat, Casablanca, Maharashtra, Zaria, Chennai, Hong Kong, Abu Dhabi, Puducherry, Mbuji-Mayi, Subra al-Haymah, Muktsar, Surat, Dar es Salaam, Karnataka, Brazzaville, Giza, Lucknow, Manipur, Ouagadougou, Cameroon, Ethiopa, Johannesburg, Cyprus, Suryapet, Abidjan, Maputo, Venezuela, Algiers, Jordan, Mumbai, India, Qatar, Douala, Singapore, Soweto, Kinshasa, Lagos, Benin, Morocco, Pretoria, Fez, Harare, Uganda, Ambala, Ibadan, Mogadishu, Freetown, Cairo, Democratic Republic of the Congo, Port Harcourt, New York, Kolwezi, Mozambique, Oman, Bulawayo, Kerala, Lebanon, Algeria, Ballia, Accra, Antananarivo, Bansberia, Tripoli, Sadar, Colombo, Conakry, Angola, Jaipur, Tripura, Baraut, Port Elizabeth, Bangalore, Maiduguri, Benin, Andhra Pradesh, Kano, Nagapattinam, Ahmedabad, Lubumbashi, Alexandria, Betul, Tadepalligudem, Khartoum, Ghana, Hyderabad, Kampala, Delhi, Addis Ababa.